As a highly successful scholarship winner who had to navigate the process of finding and winning scholarships without a lot of help, Marianne Ragins understands how tough it can be to apply to colleges, apply for scholarships and even to succeed in college once you’re there. 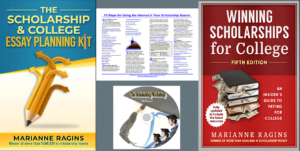 To help students, parents, counselors, educators and student focused organizations, Marianne has published a variety of scholarship books and college resources to help demystify the process and make it easier for students to be successful in their college scholarship search by providing scholarship search help. In Winning Scholarships for College, Marianne Ragins, the winner of more than $400,000 in scholarship funds, proves that it`s not always the students with the best grades or the highest SAT scores who win scholarships. Whether you are in high school, returning to or currently enrolled in college, or planning to study abroad, this easy to follow college scholarship guide will show you the path to scholarship success. 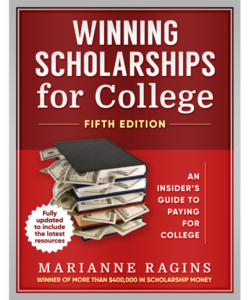 One of the most comprehensive books on winning scholarships and written by a successful scholarship recipient, it reveals where and how to search for funds, and walks you step by step through the scholarship application process. When is the best time to start searching for scholarships? Is it ever too early? Is it ever too late? Can I get scholarships/grants to pay back student loans I already have? THIS IS THE MOST COMPREHENSIVE RESOURCE. YOU SHOULD START WITH THIS ONE. This fully updated and revised version of College Survival & Success Skills 101, rich with anecdotes from students across the nation, is essential for any student who wants to improve time-management and study skills, boost a college GPA, get along with roommates, stay on track to graduate, become a world traveler with opportunities such as study abroad and find scholarships and awards to shrink the tuition bill. GREAT RESOURCE TO HELP STUDENTS BE SUCCESSFUL ONCE THEY GET INTO COLLEGE, MINIMIZE STUDENT LOANS, AND WIN SCHOLARSHIPS AS A COLLEGE STUDENT. 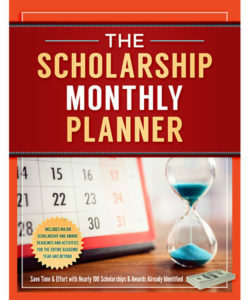 Our convenient and easy to use scholarship monthly planner will help you with time management, getting organized, and staying on track with activities to meet major scholarship and award deadlines. This resource is updated yearly. GREAT RESOURCE FOR STUDENTS WHO NEED A LITTLE HELP WITH TIME MANAGEMENT AND THE SCHOLARSHIP SEARCH! If you have trouble getting beyond a blank page when it comes to writing an essay, this resource is for you. 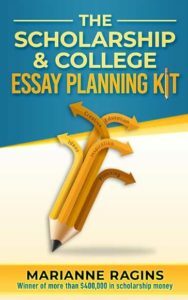 The Scholarship & College Essay Planning Kit is a must have guide for uneasy student writers. GREAT RESOURCE FOR STUDENTS WHO HATE WRITING. This is a resource designed to be used at your computer to walk you step by step through using the Internet for your scholarship search. It keeps you from being overwhelmed by the massive amount of sometimes misleading information found on the web. This resource is updated yearly. ORGANIZES THE INTERNET AND SOCIAL MEDIA FOR YOUR SCHOLARSHIP SEARCH! Are you a procrastinator at heart? Do you have an acceptance letter, but are still wondering how to pay the tuition bill because you haven’t started searching for college money? 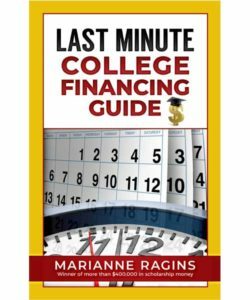 Our Last Minute College Financing Guide can help you find college money when you need it most! WOULD READING A BOOK ABOUT WINNING SCHOLARSHIPS TAKE TOO MUCH TIME FROM YOUR BUSY SCHEDULE? This audio series is based on the highly successful book, Winning Scholarships for College. It gives students and parents who are overloaded with jam packed schedules and who don’t have time to fully read a book, the opportunity to listen and learn Marianne’s winning scholarship strategies while commuting, walking, driving, exercising, cooking or any other activity that can spare the ears but not the eyes. 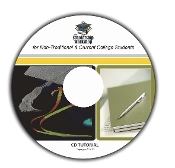 This is a computer based learning tool based on an abbreviated version of The Scholarship Workshop presentation. This resource gives you a version of Marianne Ragins’s presentation to bring home with you. Have you been out of school for years and you’re interested in going back to start or finish a degree? Do you want another degree to help you start a career or change careers? Do you have a son or daughter in college now and he or she needs more money to finish? 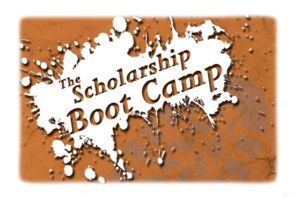 Are you a student already in college and you’re trying to find scholarships to help you complete your degree? Are you interested in scholarships to help you transfer from a two year college or university to a four year college or university? If you answered yes to any of the above questions, then you need The Scholarship Workshop CD for Nontraditional & Current College Students. We know the college application process can be costly. That’s why we strive to offer helpful scholarship resources at low prices to help with your scholarship quest. You can save even more when purchasing some of our most popular product combinations as outlined below.